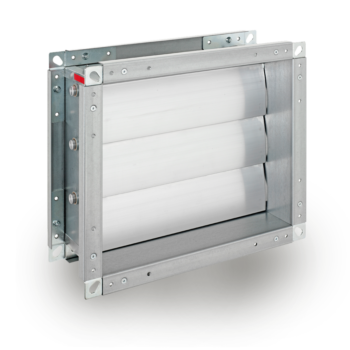 Volume control dampers, also called blade dampers, in all conventional materials, sizes and designs. We also supply a number of additional options, materials and special sizes. The Lucoma modular system gives us extreme flexibility to implement range of different solutions. Every damper is manufactured just in time to your specifications. Pressure-relief dampers, also called overpressure dampers, with purely mechanical trigger system. The blades are closed in home position. When pressure rises above the specified value, the blades open and return automatically to their home position when pressure drops again. 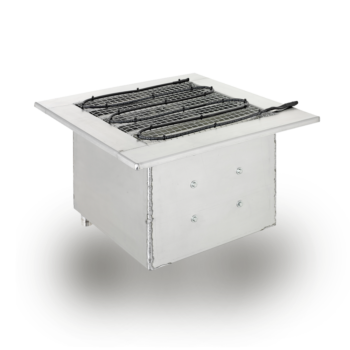 Back-draught dampers prevent return flow or the ingress of unwanted air. In operation the blades are open. When pressure drops or air flows back, the blades close automatically. 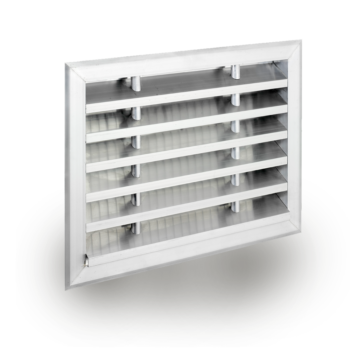 Weather-proof louvres form the external closure of air ducts or ventilation openings and prevent the ingress of precipitation and foreign bodies. They are available in lightweight or heavy-duty design. 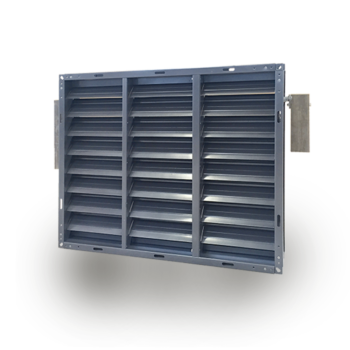 We offer the Weather-proof louvres in a tried and test stable design made of several materials. We look forward to manufacturing a special solution to your individual specifications. 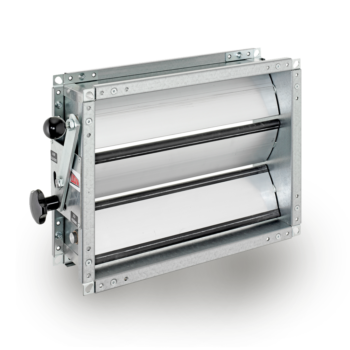 Horizontal weather-proof louvres act as the horizontal duct closure for fitting on the outside of buildings or as ventilation opening closures on roofs. The horizontal weather-proof louvre offers a visually more attractive alternative as a rain protector or a protector hood. We offer the WSG-H in several materials and manufacture according to your particular specifications. 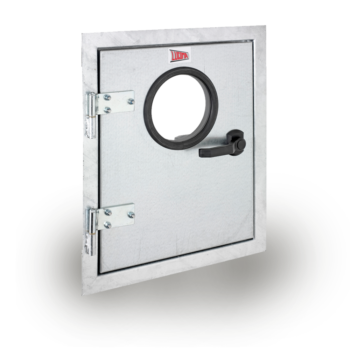 Inspection doors, also called inspection hatches, act as closures for maintenance openings. The air-tight inspection doors are fitted to close off maintenance access openings to ventilation systems, filter chambers, air conditioning systems etc. We manufacture the inspection doors in aluminium, galvanised steel and stainless steel. There are also a wide range of options. Special designs are one of our strengths. Combinations from Lucoma offer major benefits on the construction site and save installation time. 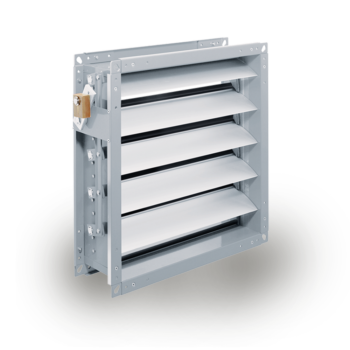 Your order specifies the duct or opening dimension and we manufacture a pre-assembled product combination which is accurate to the exact millimetre. 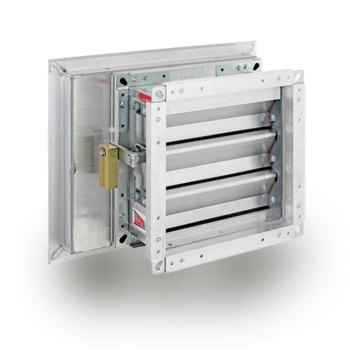 We manufacture customised and air-tight units, whether it is a weather-proof louvre with pressure-relief damper or a horizontal louvre with a volume control damper. We find a solution for unusual design requirements, complex structural conditions or even extreme demands. One of our core competencies includes custom-made products based on your individual requirements. Just ask us if you require a solution for tunnel dampers, ventilation dampers for nuclear plants, heated blade dampers, zone dampers, high-pressure dampers or custom shapes and custom designs. We have the expertise it takes.